Dollar weed (Hydrocotyle spp. ), also known as pennywort, is a perennial weed that commonly pops up in moist lawns and gardens. Similar in appearance to lily pads (only smaller with white flowers), this weed is often difficult to control once it becomes well established. 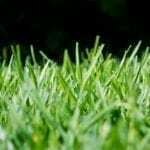 In fact, it can quickly spread throughout the lawn and other areas by seed and rhizomes. Nonetheless, there are several options available to treat dollar weed should it become a problem for you. 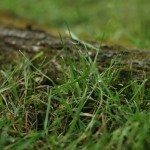 Since this weed thrives in overly moist areas, the best way to treat dollar weed is by reducing moisture in the affected area with proper mowing and irrigation. You should also improve any drainage issues that may be present. Boiling water – Pouring boiling water on areas with dollar weed will quickly kill the plants. However, care should be taken not to get any on other nearby plants or grass, as boiling water will kill anything it comes into contact with. 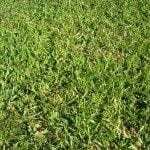 Baking soda – Some people have had luck with using baking soda for killing dollar weeds. Simply wet down the dollar weed foliage and sprinkle baking soda over it, leaving it overnight. This is supposed to kill the weeds but be safe for the grass. Sugar – Others have found success with dissolving white sugar over the weed. Spread the sugar over the area and water it in thoroughly. Vinegar – Spot treating dollar weed with white vinegar has also been deemed effective as a dollar weed herbicide. Sometimes chemical control is necessary for killing dollar weeds. Most types of dollar weed herbicide are applied in spring while the plants are still young, though repeat applications may be needed. Monument, Manor, Blade, Image and Atrazine have all been found to effectively eradicate this weed. They are also safe for use on Zoysia, St. Augustine, Bermuda and Centipede grasses (provided you carefully follow instructions). Round-up and Finale may also be used as spot treatments.